I love books. The only thing I love more is free books! So when I find a free book, I’m going to share it with you! Each title links to the site where the book can be picked up from. If a book is a limited time offer, I will specify. Feel free to recommend a free book in the comments, however, be aware, I typically will not add a book to this page until I have read it, unless I am very familiar with the author and have read enough of his/her works to know he/she is generally Biblical in their doctrine. Description from site: “What is Reformed theology? This free gift from R.C. Sproul will introduce you to the heart of historical evangelicalism and reveal just how awesome the grace of God is. For more than 40 years Dr. Sproul and Ligonier Ministries have been helping Christians know what they believe, why they believe it, how to live it, and how to share it. This free book is another way that we are privileged to serve you. Description from site: “Let God stir your heart for some who are truly in need — thousands of children living in slum conditions throughout South Asia. Real children share their real stories of crisis and how our loving God intervened to rescue them. You will be astonished as you read about this amazing move of God happening right now. Description from site: “Why do 9 out of 10 children raised in Christian homes leave the Church? For decades, the world’s most popular gospel message has been drawing the lost by promising God’s wonderful plan for their life. But behind the facade of the “wonderful plan” message is the reality of the trials, temptation, and persecution that Jesus promised. How can we reconcile the two? Description from site: “Christian complementarity is the conviction that God created men and woman as his image-bearers — equal in dignity, but distinct in roles. Contrary to popular opinion, these distinctive roles of men and women are not the cultural fads of a bygone era, but integral aspects of God’s good design for humanity, and therefore integral aspects toward humanity’s end — to glorify God by enjoying him forever. Description from Amazon: “As human beings, we long to know that our lives will unfold in ways that we will find pleasant and rewarding. As Christians, we have a different focus-we want our lives to be pleasing to God. Thus, we ponder His will and worry that we are not doing what He wants us to do. 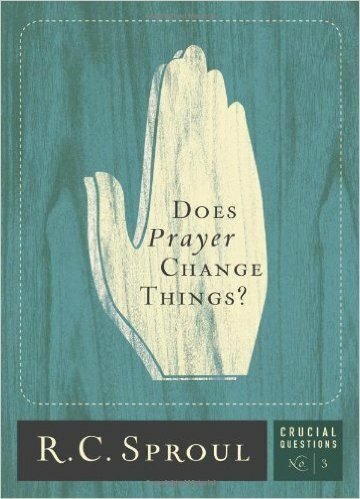 Description from Gospel Relevance: “In this book you’ll learn about: 1) The role of emotions in prayer. 2) The role of meditating on Scripture before prayer (yes, this is important). 3) How to create a plan for prayer. 4) How to start and end prayer. 5) The importance of just being real, just being you. But don’t be deceived: This book is (mercifully) short. The last thing I want to do is waste your time. But I’m convinced that if you read it, you will find multiple principles that can lead to immediate impact.